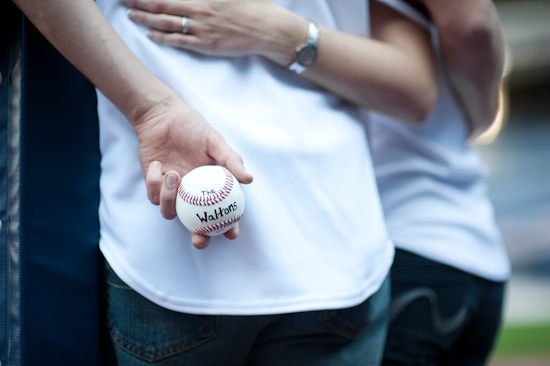 Those of you who are sports fans are going to love this engagement shoot! 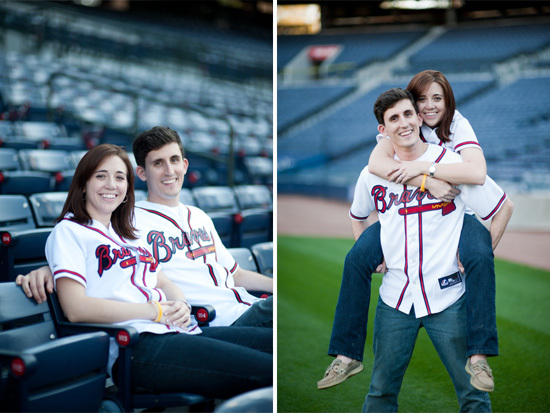 Angie and Alex are big Atlanta Braves fans and arranged to have their engagement pictures done at Turner Field. Once at the stadium they were given the freedom to roam wherever they pleased and together with their photographer made excellent use of their time there. 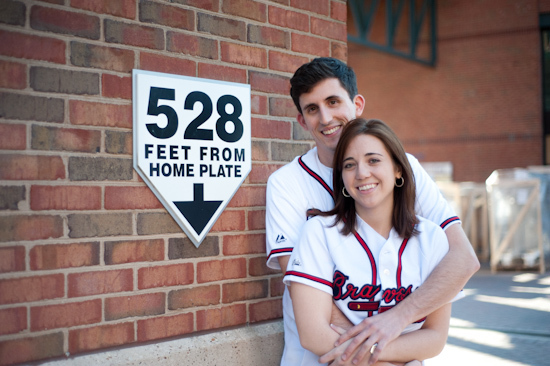 The couple had their photo taken all over the ballpark, from the top of the stadium overlooking the Atlanta skyline to the perfectly mowed grass of the infield. To see more from this fun baseball themed session, click here. 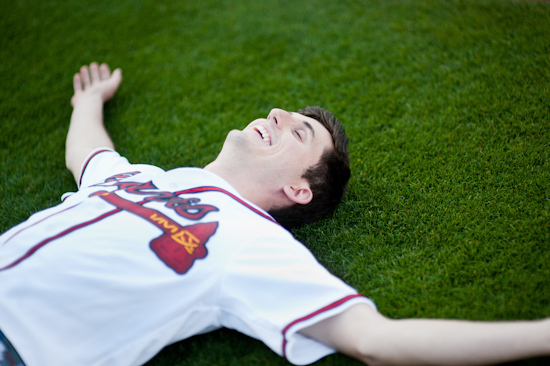 To see more from this fun baseball themed session, click here. 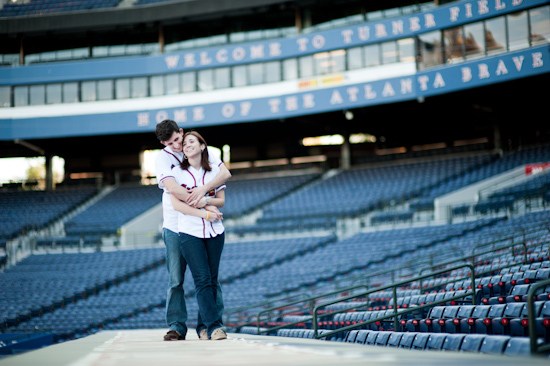 If you'd like to schedule your engagement shoot at Turner Field, Please contact The Studio B Photography and they'll help you set it up!